As a professional scout told me years ago, to check which players are playing at the top of their game, all one needs to look at are stats from the past two weeks. While Major League Baseball announces winners of Player of the Week and Player of the Month for each league, here's our take of who have been the best players over the past 14 days. The past two weeks have shown some outstanding hitters. 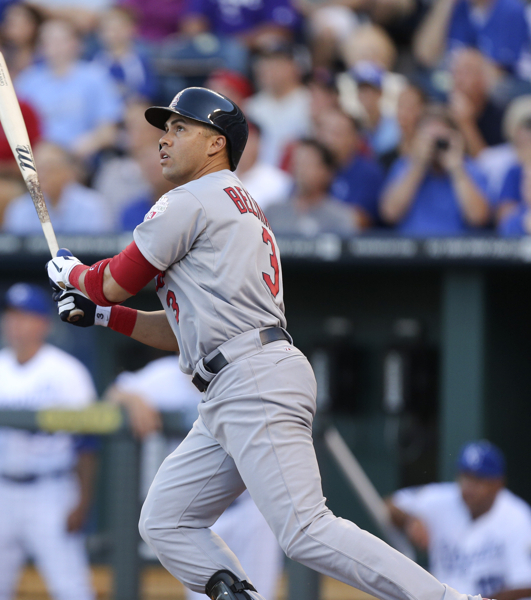 Beltran, Joey Votto, Aaron Hill, Ryan Braun, and even Tyler Colvin had prominent placement on different leader boards. All in all, we awarded Beltran mostly for his .540 OBP with some power. other side of the I-70 series, with a 1.003 OPS against KC. Was there any doubt? 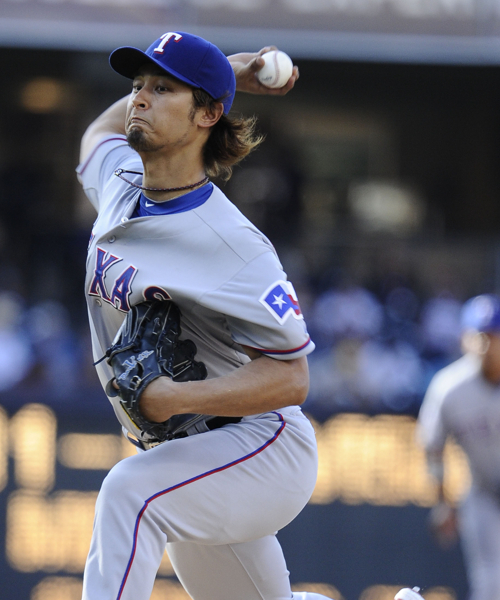 He leads the league with a 0.00 ERA, 1.25 xFIP, and 12.50 K/9. 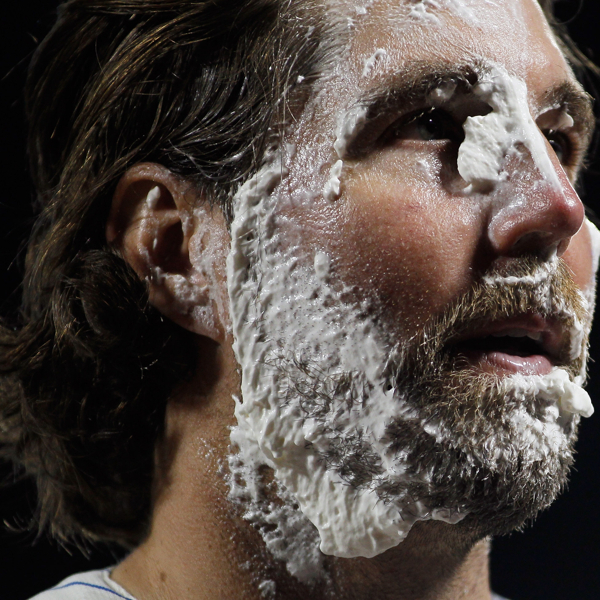 There's plenty to read about Dickey's recent success all over the Internet. So, let's just move on. R.A. Dickey hasn't shaved in a long time. It's nice to see our biggest dark horse "star" from the June Swoons and Stars post producing at such a high level. The Tins third baseman is just a few points behind Ben Zobrist in wRC+ and wOBA, but Plouffe played in 3 more games and hit 6 HR's to Zobrist's 3. Another contender was Jose Bautista, who hit 7 HR's. While we aren't fans of the batting average stat, it's something when Plouffe is at .383 and Bautista's is .282. 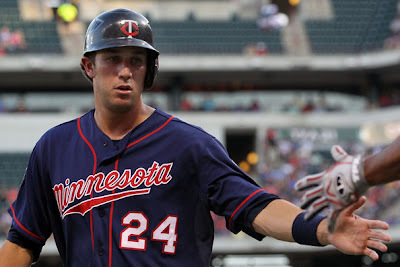 Trevor Plouffe is one of the few bright spots for the 2012 Twins. Two wins in two starts, a 10.7 K/9, 69.4 GB%, and league leading 2.16 xFIP wrap the award up for the year's best Japanese Import. These were his two starts against National League competition, the Astros and Padres. Maybe we should have rewarded someone with stiffer competition, like Justin Masterson or CC Sabathia. make for good pitching in any language. ICYMI, Last Night was Draft Night!